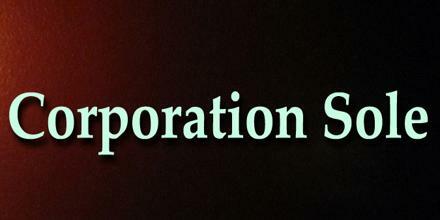 This article talks about Corporation Sole, which seen as extremely advantageous to those who desire non-interference in church or their own financial affairs, or who have a deep interest in separation of church and state, personal sovereignty, common law, or the acquisition of something which is non-traditional and unique in its application. Contract made with a corporation-sole continues from one officeholder to his or her successor or, if made during a vacancy in office, to the appointee. It allows corporations to pass without interval in time from one office holder to the next successor-in-office, giving the positions legal continuity with subsequent office holders having identical powers and possessions to their predecessors.